Our new library system at WRDSB comes mobile ready. 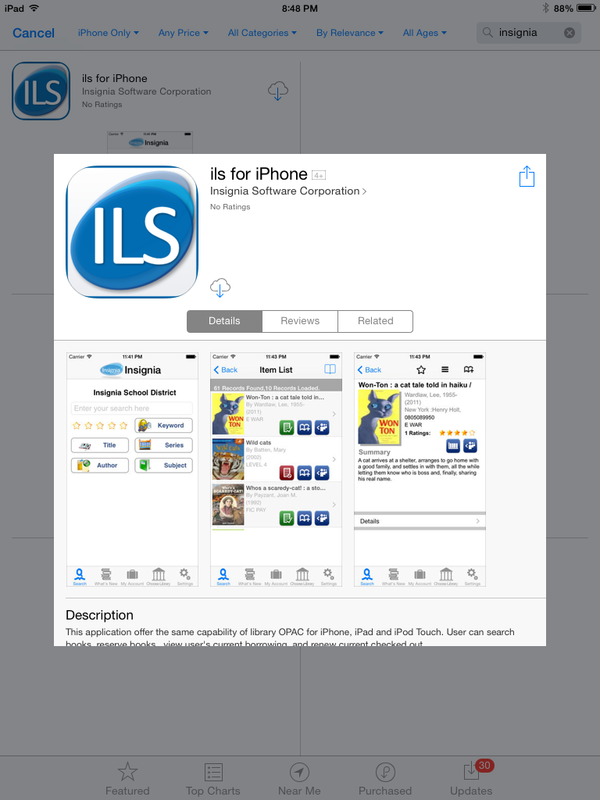 The free ILS app (iOS and Android) is easy to download and set up. iOS users should note that the iPhone version of the app is also used on the iPad so the search settings in the app store may need adjusting to locate that app on an iPad. 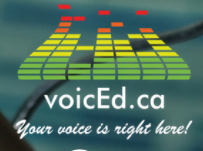 Once the app is downloaded, launch it, choose the Waterloo Region District School Board from the school board list. 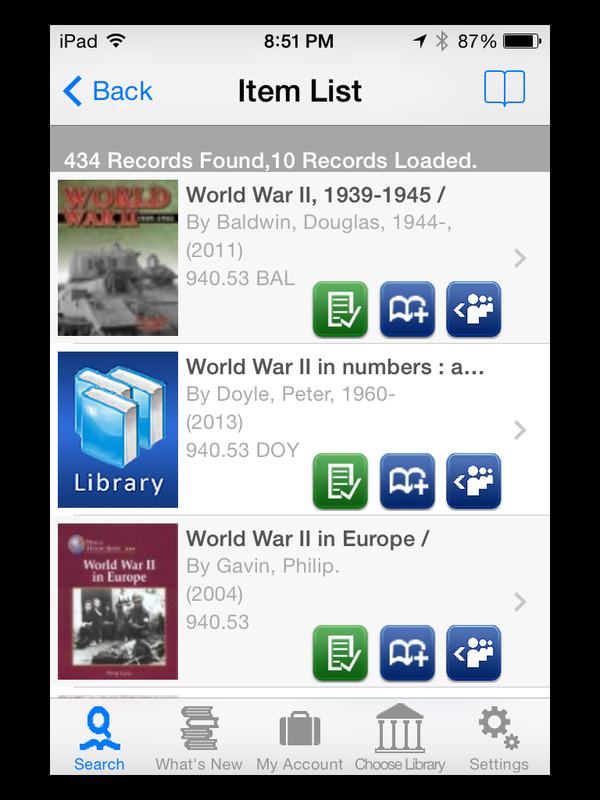 Next, press the ‘choose library’ icon to select your school library and set it as the default. 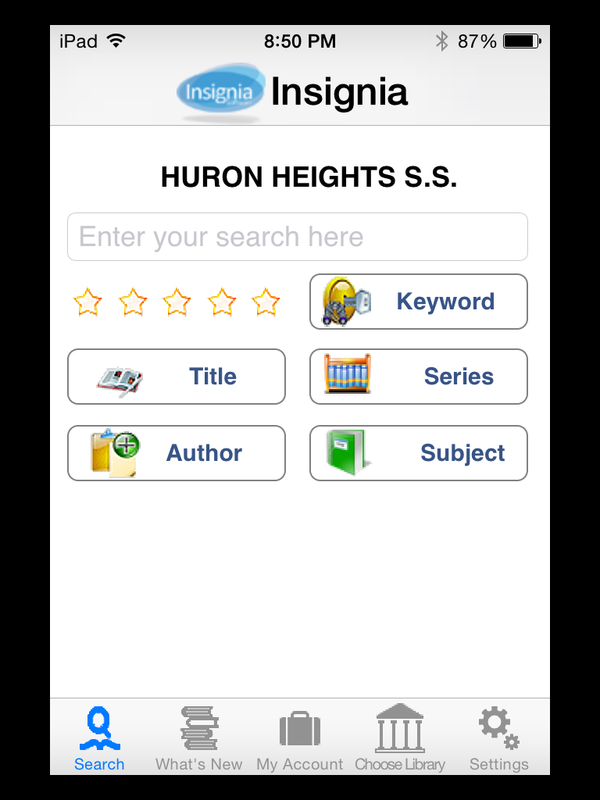 As an example, I choose the Huron Heights SS library and set it to my default library. This is a sample search result based on “world war 2”. Now you are ready for searching on the go. 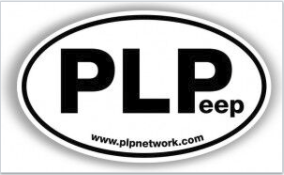 Happy inquiring!